In the midst of a series of Google searches and link following (trying to learn more about the conservative political commentator Mark Steyn), I came across a 2007 article by the late Christopher Hitchens called, “Facing the Islamist Menace”. 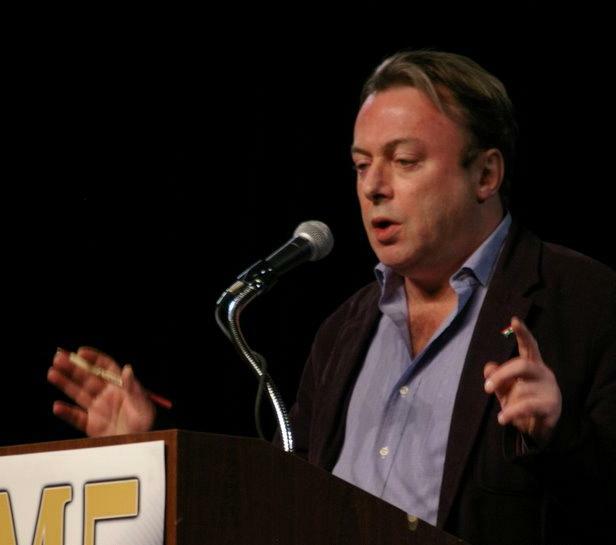 I usually find Hitchens’s writing to be an engaging read, and this article didn’t let me down. The article is a longer discussion of a Mark Steyn book where Steyn argues that the growing Muslim populations in the European nations and other Western countries is a great threat to Western Civilization. I haven’t read Steyn’s book, so I can’t comment on Hitchens’s analysis. But at the end he offers an eight-part proposal for a resistance to Islamists. I’ve included an abridged version of his proposal, because what he says seems sensible to me. An end to one-way multiculturalism and to the cultural masochism that goes with it. .We should not allow a single Saudi dollar to pay for propaganda within the U.S., for example, until Saudi Arabia also permits Jewish and Christian and secular practices. No Wahhabi-printed Korans anywhere in our prison system. No Salafist imams in our armed forces. A strong, open alliance with India on all fronts, from the military to the political and economic, backed by an extensive cultural exchange program, to demonstrate solidarity with the other great multiethnic democracy under attack from Muslim fascism…. A similarly forward approach to Nigeria, São Tomé and Príncipe, and the other countries of Western Africa that are under attack by jihadists and are also the location of vast potential oil reserves, whose proper development could help emancipate the local populations from poverty and ourselves from dependence on Middle Eastern oil. A declaration at the UN of our solidarity with the right of the Kurdish people of Iraq and elsewhere to self-determination as well as a further declaration by Congress that in no circumstance will Muslim forces who have fought on our side, from the Kurds to the Northern Alliance in Afghanistan, find themselves friendless, unarmed, or abandoned…. 5. Energetic support for all the opposition forces in Iran and in the Iranian diaspora…. Unconditional solidarity, backed with force and the relevant UN resolutions, with an independent and multi-confessional Lebanon. A commitment to buy Afghanistan’s opium crop and to keep the profits out of the hands of the warlords and Talibanists, until such time as the country’s agriculture— especially its once-famous vines—has been replanted and restored. We can use the product in the interim for the manufacture of much-needed analgesics for our own market and apply the profits to the reconstruction of Afghanistan. We should, of course, be scrupulous on principle about stirring up interethnic tensions. But we should remind those states that are less scrupulous—Iran, Pakistan, and Syria swiftly come to mind—that we know that they, too, have restless minorities and that they should not make trouble in Afghanistan, Lebanon, or Iraq without bearing this in mind…. You can read the rest here: “Facing the Islamist Menace”.